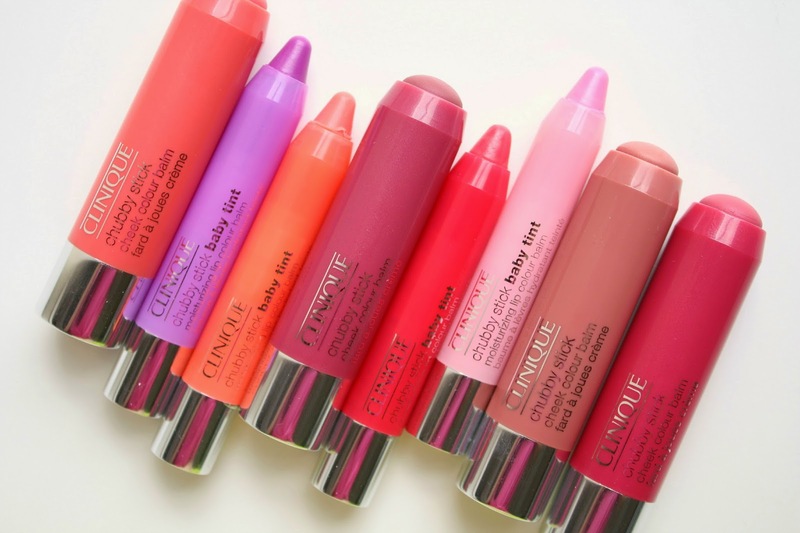 I am already a Clinique Chubby Stick fan. Their Intense Chubby Stick in Mighty Maraschino is one of my favorite reds of all time. So I knew I would adore these new Chubby Stick Baby Tints. More on those in a bit. But the Cheek Colour Balms were another story. I rarely wear cream cheek colors because I don't really like them. Every now and then one will be the exception, but for the most part I don't wear them. Have you ever seen me review one? Probably not. 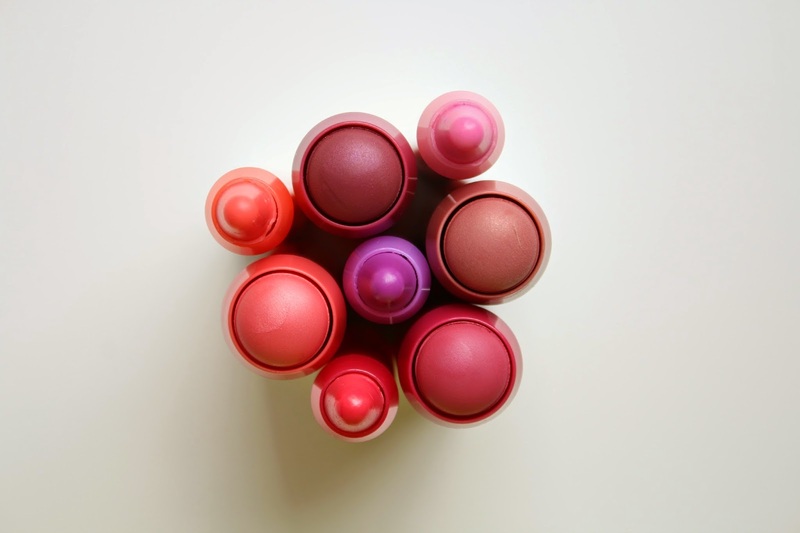 So I simply did not try these Cheek Colour Balms for about a week after I received them from Clinique. I was being stubborn, but to be honest, I really like Clinique products and felt that it was only fair to give them a go. Ugh, I immediately began kicking myself for waiting 7 days. They were beautiful!! 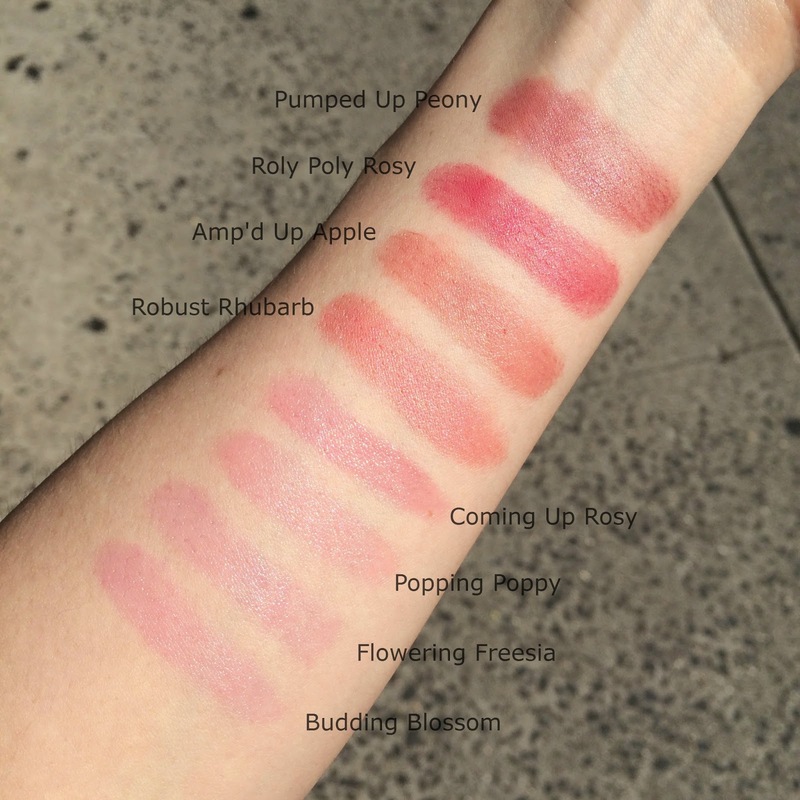 They come in 4 different shades, Robust Rhubarb, Amp'd Up Apple, Roly Poly Rosy and Plumped Up Peony. The texture is not at all what I expected and applied a lot drier than anticipated. The reason I can't stand creamy cheek colors is they are often too emollient and move around too much/end up looking oily/slide right off my face. These were a bit drier, surprisingly easy to blend and gave a natural matte finish rather than super dewy/creamy. Below are swatches of both the Baby Tints and Cheek Colour Balms. 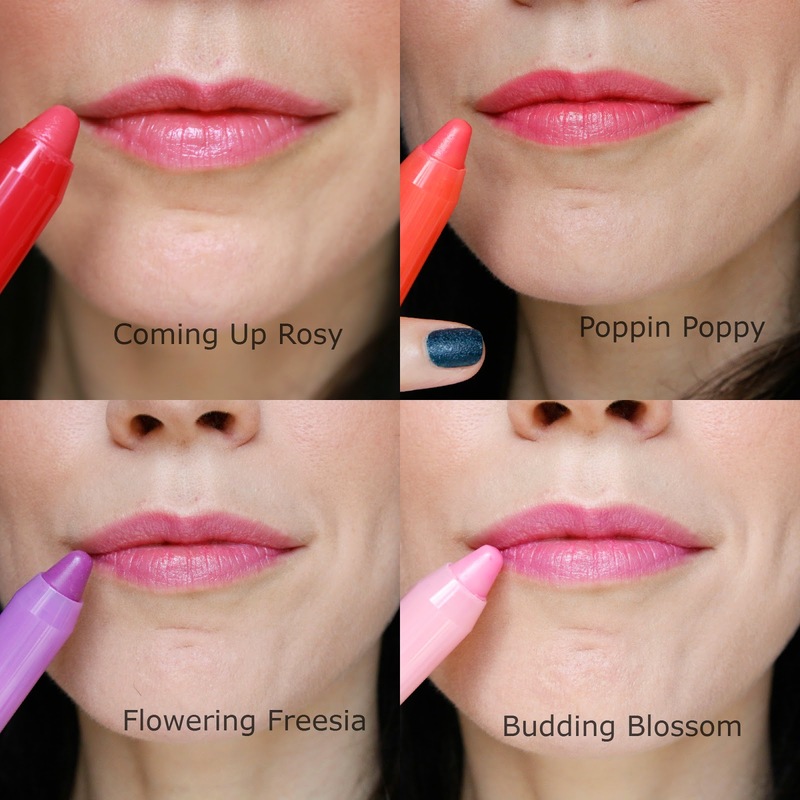 My two favorites are Coming Up Rosy and Poppin Poppy, but they are all so sheer that they can be layered with just about any other lip color to enhance it. Both the Baby Tints and Cheek Stick Balms are now available on the Clinique website, Sephora, Nordstrom and most Clinique retailers. Those baby tints look like they might be worth a try!